Upon release, this enormously potent and productive seed-strain swept the cannabis awards and sparked something of a ‘grass-roots’ revolution in breeding. NL#5xHaze reminded the cannabis community that Sativa magic was rapidly being bred out of commercial strains in the quest for the shortest, fastest plants. Indica genes were becoming the dominant influence in almost every crop and the true Haze rocket-ride was in danger of becoming a memory. NL#5xHaze helped to turn the tide by demonstrating that growers could have it all – mind-blowing Sativa effect and weighty Indica production – for just a few extra weeks in flowering. Expect significant height gain from NL#5xHaze. Indoor plants can be flowered with little or no vegetation period, which compensates for their extra time in blooming. Rooted clones and even seedlings can be flowered immediately and may go on to exceed 1m by harvest time. Gaps between internodes are quickly filled by long, running colas. At the mid-point of blooming main stem and branches are completely obscured by sticky, profusely hairy buds which then swell in every direction until the end of flowering. It’s quite common for NL#5xHaze to produce terminal buds longer and thicker than a grower’s arm, even at indoor heights. From seed, Northern Lights#5 x Haze produces huge, bountiful, uniform plants and is very easy to clone, producing crop after crop of strong cuttings. Her distinctly psychedelic Haze power is complemented by the yield and crystal of NL#5. Growers who treasure their Northern Lights#5 x Haze mother plants have been known to produce killer harvests for a decade or more with no loss of quality. Opposites collide in perfect hybrid fusion! Feminized Northern Lights#5 x Haze balances the finest features of soaring tropical Sativa and voluptuous, earth-shaking Indica. 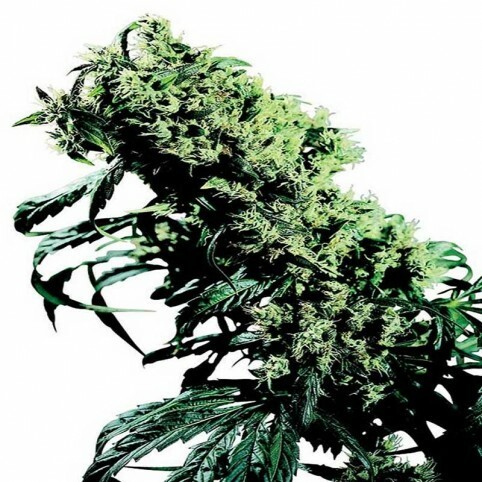 Universally regarded as a high-point in cannabis breeding, many weed scholars consider her unsurpassed.Her tendency to make a permanent impression on smokers and growers owes a great deal to the fact that her Sativa genes are fully and joyfully expressed, instead of being dominated by the power of her Afghani parent. It’s quite common for Northern Lights#5 x Haze to produce terminal buds longer and thicker than a grower’s arm, even at indoor heights. From seed, feminized Northern Lights#5 x Haze produces huge, bountiful, uniform plants and is very easy to clone, producing crop after crop of strong cuttings. Her distinctly psychedelic Haze power is complemented by the yield and crystal of Northern Lights#5. Growers who treasure their Northern Lights#5 x Haze mother plants have been known to produce killer harvests for a decade or more with no loss of quality. 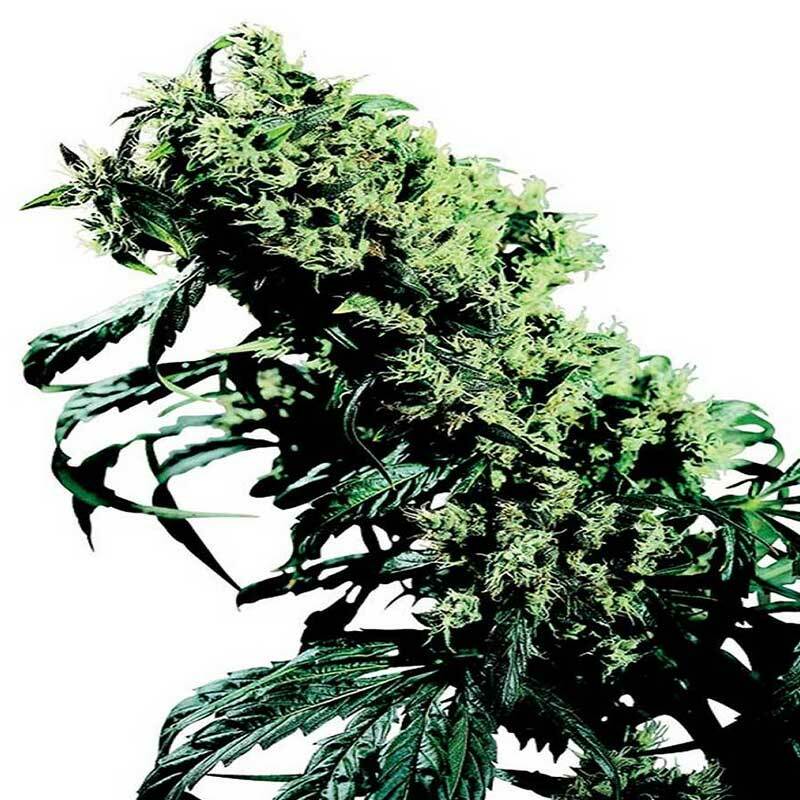 A relatively new release as a seed, this fat, sticky hash-makers’ plant has long been prized for its..
As is clear from the name, Sensi’s most recent Skunk variant mixes the pure Afghani genes of Hindu K.. The first Haze ranks as a vintage masterpiece of cannabis breeding, a harmonious blend of complement..